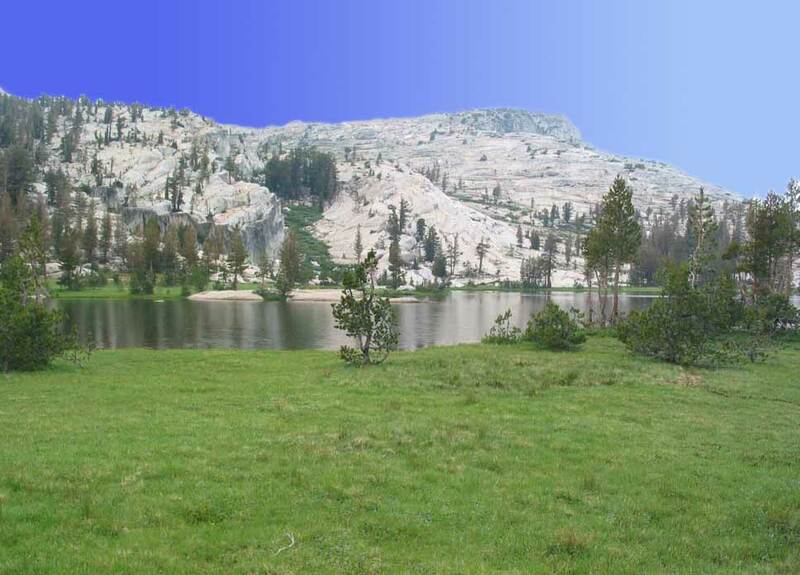 This is one of the lakes awaiting your arrival at Upper Cathedral: elevation: 9600-feet. I only wish there was more blue sky. This is the last photo of sights along the trail to Cathedral Lakes. Voila! Presto > Blue skies [76-KB]. 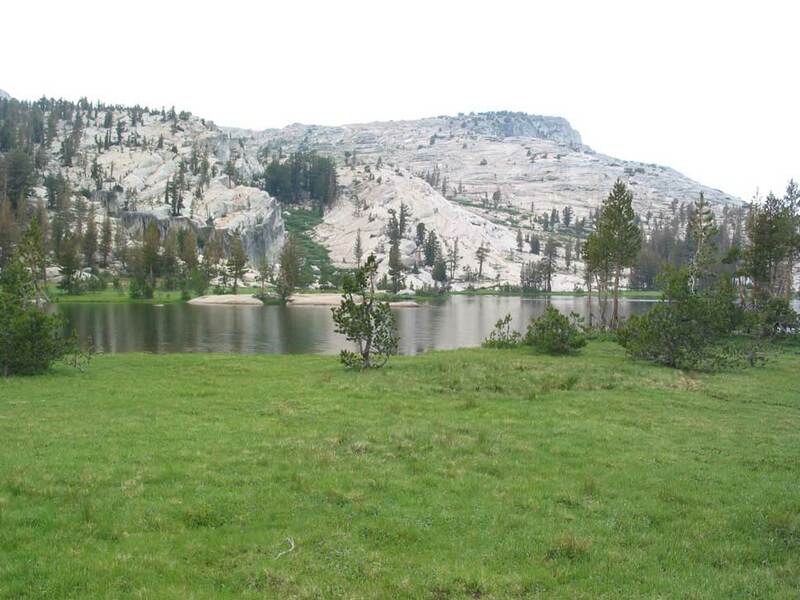 For more pictures of Yosemite's Cathedral Lakes > see here. The index page for this series on the trail is here.